The Paradise Windfall sponsored by Laurie Ross is recognised as the largest of its kind in world football and returns for another season. The matchday draw has paid out of over £4million to supporters and is part of the routine for many fans, with over 500 hitting the jackpot and picking up a winning cheque on the pitch. This season the standard match jackpot prize will be £10,000 but there will also be Superdraws offering £15,000 and Golden ticket Draws offering £25,000! 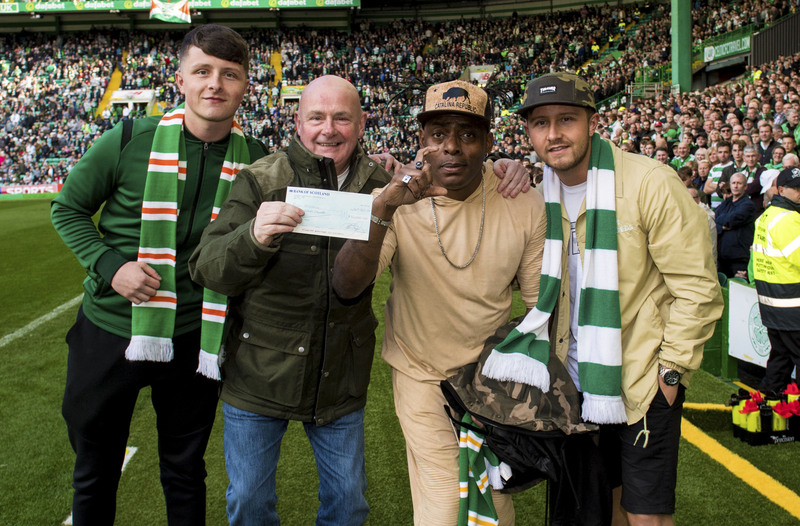 Winning the jackpot has made dreams come true for many supporters, with the winners using prize money to buy new cars, make home improvements, pay off debts and travel all over the world including trips to see the Bhoys in action! With all net proceeds going to Celtic Youth Development, it’s not just the winning ticket holders who benefit. Since the first draw in 1995, more than £8m has been donated to Celtic FC and the Academy, helping develop players such as Kieran Tierney, Anthony Ralston and Liam Henderson. Tickets are only £2, so look out for the Windfall Sales Team’s famous yellow jerseys at every turnstile throughout the course of the season and you could be our next BIG winner!